I wanted to share one of my favorite books. I tend to pull it off the bookshelf to re-read, and today was one of those days. Pattie Boyd, former wife of rock legends, George Harrison and Eric Clapton, tells her story in Wonderful Tonight. "Wonderful Tonight" is absolutely my favorite love song. I adore it, and have since I was little. So, to read it's muse's life story was an absolute treasure for me. 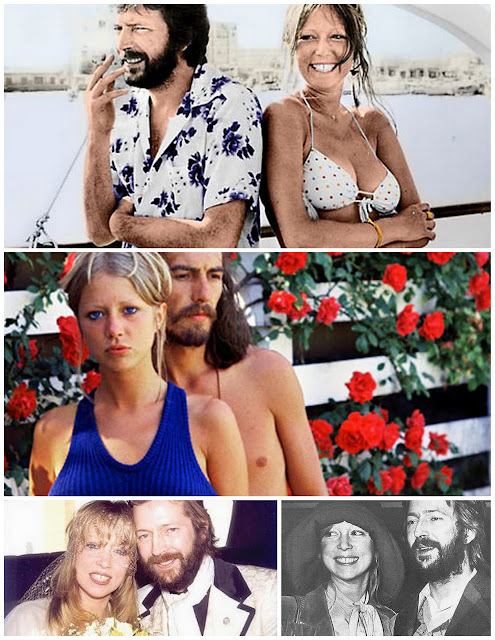 Beginning with her strained family life, to her entry into the modeling world, we follow her all the way from Kenya to Paris, London, and New York, to Harrison's heart, and eventually into Clapton's arms. Half of the book focuses on her life with Harrison, while the other half focuses on her life with Clapton. It's an absolute treat to look through the eyes of someone so close to The Beatles, and so close to Clapton. So many intimate details are poured out onto the pages; drug abuse, affairs, relationships among band members. Her honesty keeps you flipping the pages, yet kind of makes you feel like an intruder in such notable lives. 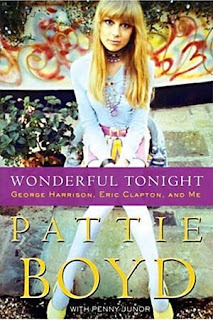 This is definitely a book to slide in among the others on the shelf of any classic rock fan. The pictures included in the book give us an insider look to her life as a young girl, as a model, and among some of rock's all-time geniuses. Here are some included in the book, and some favorites that I found, along with wonderful quotes. "He looked at my book, then looked at me and said, 'Come back when you've learned how to do your hair and makeup properly.' I felt so humiliated. Six months later I got a job with Vogue." "Then he said, 'Well, if you won't marry me, will you have dinner with me tonight?'" "When I finally got downstairs and asked the inevitable question, 'Do I look all right?' he played me what he'd written." 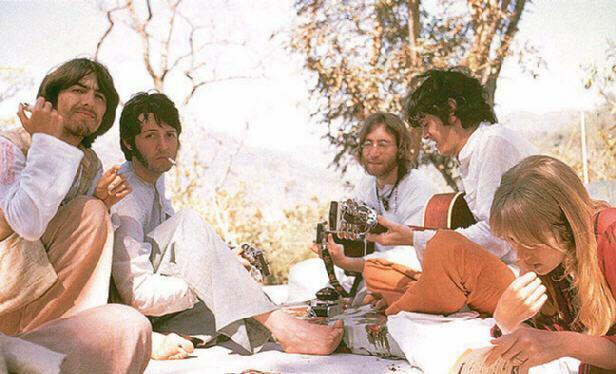 "On first impressions, John seemed more cynical and brash than the others, Ringo the most endearing, Paul was cute, and George with velvet brown eyes and dark chestnut hair, was the best-looking man I'd ever seen." Such a great book! I read it a few years ago and couldn't put it down. Those men put her through the ringer. Good choice!